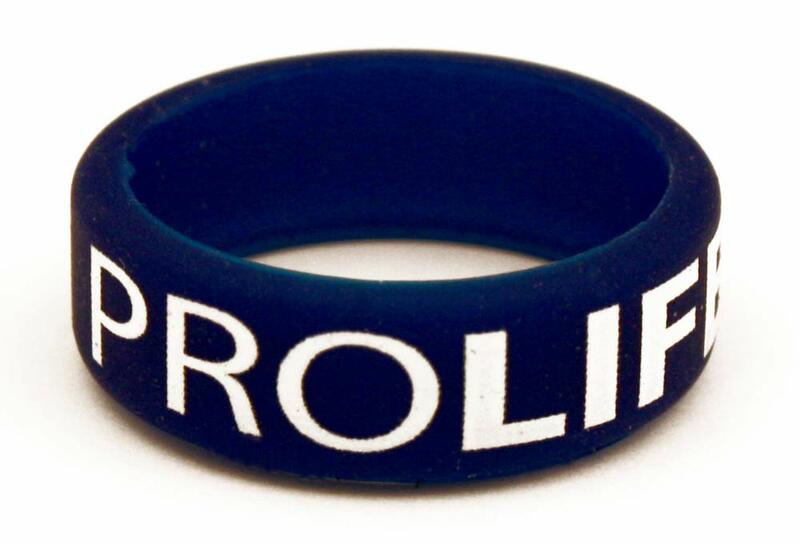 I think pro-life rings are pretty cool! I wear these myself. 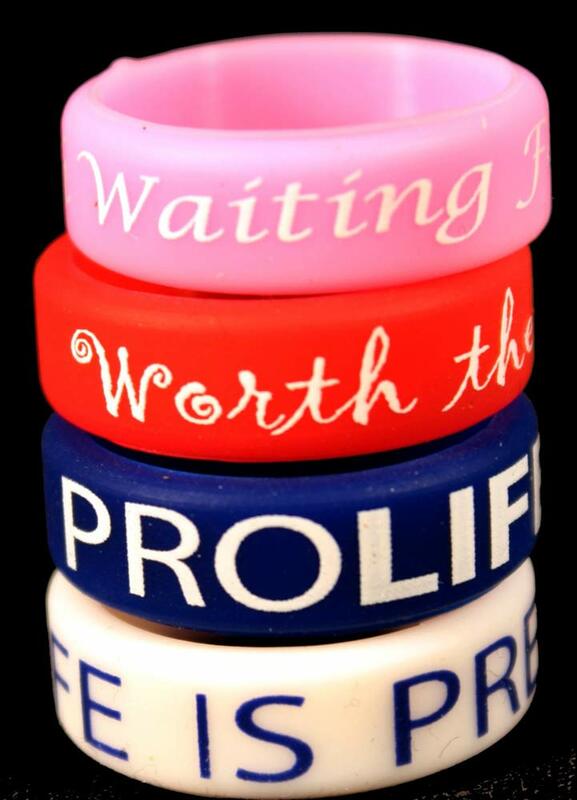 All the other "causes" give them out - why not the pro-life movement - the greatest cause out there! I love the blue color, too! My teens for life group love these rings and hand them out at our fair booth every year. 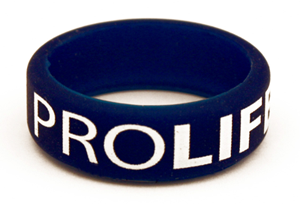 It's nice to have items at a cost we can afford and a great way to spread the pro-life message. 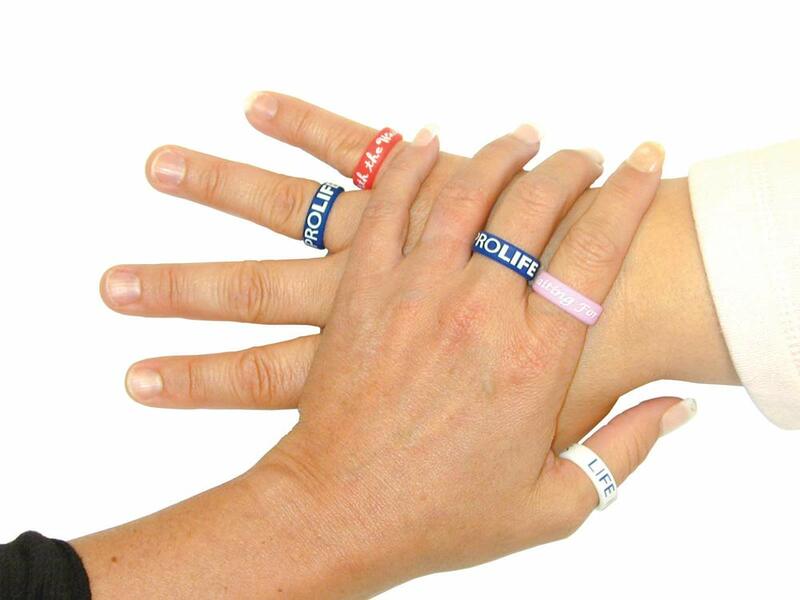 I wear these rings and exhibit them when I speak to 12 year old and younger children. The response is wonderful. They not only love the rings themselves, but are usually very impressed by the information I am able to share with them because of the rings. 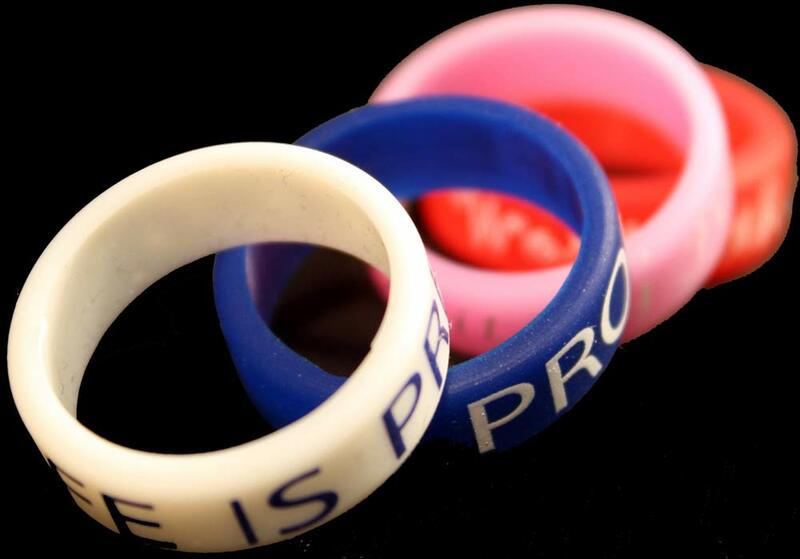 Our Right to Life organization has purchased rings & bracelets since they were first advertised as a new item. 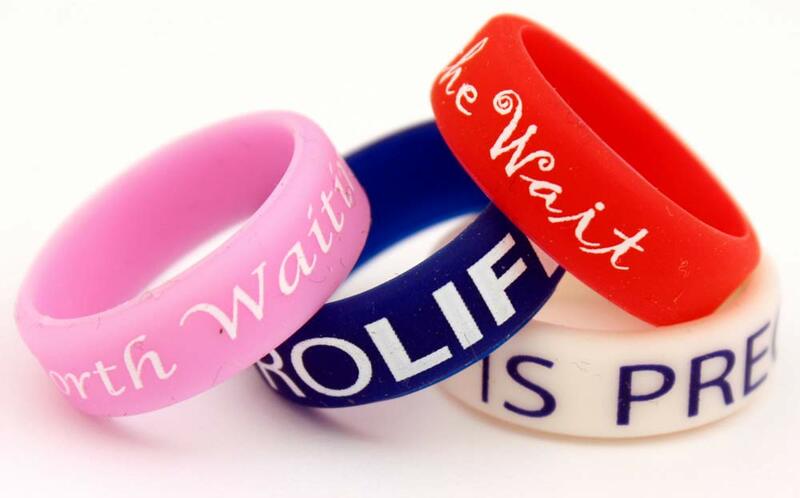 We buy them every year due to their popularity, especially with the youth & teens, the next generation of pro-lifers. These are always a hit on the life table. All ages like these..we give them away willingly as long as kids agree to wear them. 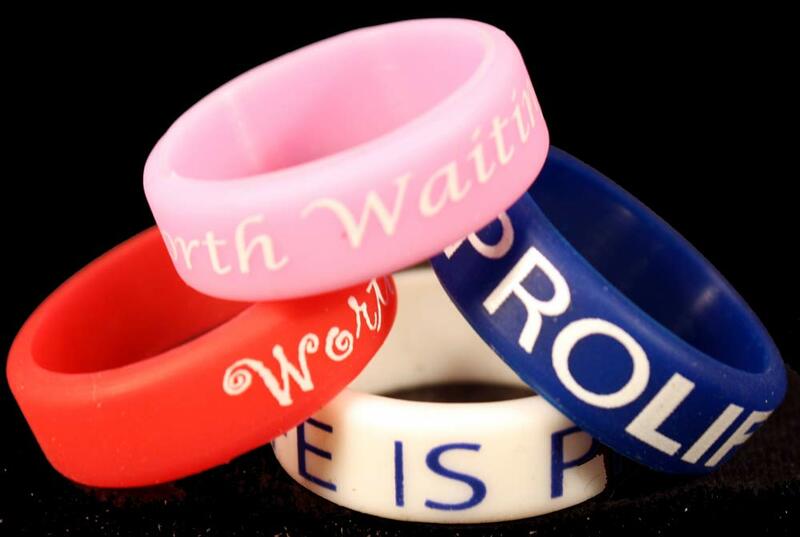 I like these bracelets particularly because that you can make out what it says with the bold white letters against the dark background. And that is the point of this bracelet. For people to see it. I love these to raise money for a local CPC.